Channel 4 TV ,comprising a series of 13 chapters on the history of the people “a musical journey from the snow-covered hills to the green pastures, from the legendary druidic dragon till the exciting present one, a surging stream of melody through time and place. ” Here raids from background on synthesizers mingled with traditional instruments and arrangements as written in one of his letters of the time “a blessing which is not good to abuse.” . 4) Finally publishes the first in a series of tapes ( the remaining five in 1985) – which included over 30/40 minute length legends and poems by Robin recounted with sporadic harp. inclusions. In 1985, the music for The Dragon has two Tongues is published, and Robin returns with the Moving Bieng Company with the piece Sea’s Prospect , an allusive portrait of the Welsh poet Dylan Thomas. During 1986, is published the 2nd Volume of Legacy of the Scottish Harpers, and is published in Britain A Glint of the kindling of the Merry Band with Songs and Music 1977, a compilation album, including Journey’s Edge and American Stonehenge. A production cut with jovial and unusual songs and music closes winter 1986 under the name Winter’s Turning, album that includes pieces of Henry VIII, Shakespeare, Praetorius, Corelli, Vivaldi, and O’Carolan with a very personal design electroacoustic . 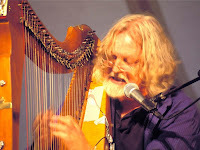 In 1987 he endorsed another conceptual work, Songs for Children of All Ages, a good selection of songs and riddles of surprising and enigmatic themes in the Celtic tradition. It is noteworthy that includes new versions of two pieces composed in 1968 by Robin Williamson with the ISB. Ten Songs was published in 1988 consititng of ten pieces that show a Williamson identified with the grain and bardic sounds but inserts issues with soft sounds and arrangements / political issues related to rock / contemporary social. It is the first work that contains pieces from 1981 and includes a new version of the theme Lammas, published in Selected Writings 1980-83. Collaborates in turn in the band’s soundtrack for George Lucas film Willow / MGM and play Merlin the Magician represented in Welsh during the month of August. Based in Edinburgh in 1989 publisheds the book The Crankeskin Bag, a collection of short stories and poems collected and adapted from the tradition of Wales, Ireland and Scotland, who remained in the vernacular tongue and were included in its five by Robin tapes released in legends 84-85. In the United States is published as The Wise and Foolish Tongue. 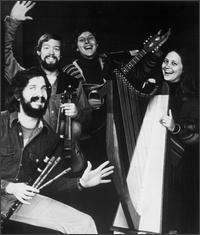 In 1990, launches Music for the Newly Born, an unusual combination of multiple influences in their times with the ISB. One side “A”, with pieces for the “awakening”, a B side pieces for the “rest” of the soul of the unborn, babies (and parents) recorded in Wales under the sieve of Celtic styles , Indian, Japanese and classical ones. The album begins with the charming sparkle of an exhilarating set of reels — the frenetic fiddle of Winifred Horan and the rippling accordion of Mick McAuley rush forth over Eamon McElholm’s strong, rhythmic guitar riffs and the reverberant patter of Seamus Egan’s bodhrán. The sound builds to a tempestuous crescendo with the addition of Egan’s whistle and banjo — how many pairs of hands does this guy have? This invigorating four minutes will leave you on the edge of your seat with anticipation of the roller-coaster ride that is to follow. And that was the problem for me — the roller coaster has a tendency to come off the tracks on a number of occasions after this opening number. The second track, “Seven Curses,” introduces Solas’ new singer, Mairéad Phelan. Certainly, Phelan possesses a voice of beguiling beauty, but she sings with a tenderness that often struggles to be heard over the instrumental engine-room of Solas, particularly on this up-tempo number that is all but ruined by overbearing percussion. “Mollaí na gCuach Ní Chuilleanáin” goes some way to addressing my concerns by providing Phelan with a stirring, ethereal backdrop over which she gently layers her gorgeously fragile vocals. Then, as if to prove me completely wrong, Phelan plays her ace on the pop-drenched “Merry Go Round,” a duet with The Duhks. Phelan really hits her stride here with a spirited, almost feisty vocal that is every bit as catchy and charismatic as the set of reels that opened the album. As a stand-alone number it really is wonderful, but it somehow feels like its been shoe-horned into this album, and indeed this could be the prime example of what it is that Solas may have misjudged with For Love And Laughter — consistency. It doesn’t really hang together well as an album. The sum of its parts is somehow less than the contribution of each individual track. 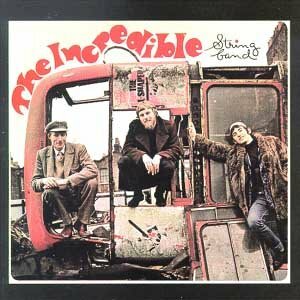 One further misjudgment is the inclusion of “There Is A Time,” that sees the return of the overbearing percussion and a confused arrangement that is insipid throughout, harking back to the very worst of overblown 1980s pop productions. The shame is that, had this been given a more understated, pared back arrangement, and had lead vocals been handed to Phelan, it might well have shone like a precious jewel. 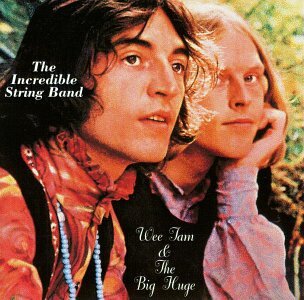 remembered as one happy couple and co-founder of the legendary Incredible String Band. 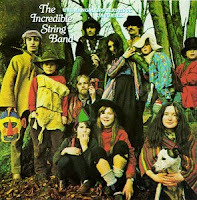 For those who lived three decades ago in Argentina should recall the local editions of the Incredible String Band … since two albums were issued “The Hangman / s Daughter” in 1977 and “Wee Tam” in 1978, lagging behind in eight editions and nine years respectively. Some were encouraging their spread through already extinct Magazines, whether reviewing or translating lyrics… it was fleeting, and never again to publish anything from the group on vinyl. But the real charm of this article is that the ISB released thirteen albums in eight years, not counting two solo albums by members of the band in this period … When it comes to sales, eight of his record were between 68 and 78, leaving out their rivalry with Cream, Rolling Stones, The Beatles, seconded by gradually emerging groups like King Crimson, Van der Graaf Generator and Genesis. While Williamson has performed with the group thirty-five instruments, yet never tires, and today we are still giving away more of his music. In the beginning, the leadership of the ISB was given by Robin Williamson and Clive Palmer, after nights of study and vagrancy. Already one in 65 young assistant accountant got a musician, Mike Heron, would join the group the following year recorded their first album as an established band, heavily flooded by traditional melodies of Ireland and Scotland. That was the start but the course was changing their musical style as well as its members. In spite of a folk trad. based beginning, then shifted their interest toward a more ethnic spectrum and mergers, in part due to a su dden break in the band. Everyone came to tour the world on their own. Soon, due to immigration problems, Robin returns to Edinburgh in search of Heron, the ISB relaunching as a duo, as Clive departed in Afghanistan, going to Morocco with Arabic flute and violin under his arm. In 1966 (in the Flower Power), the group begins to function as a world fusion band where one aspect of each culture had its existing contribution either poetic or musical instruments. In one of our contact letters in the 80’s Robin recalls that “at that time was interested in compositions almost no difference in structure to those of Mike, catchy to the ear. I always had the intention to return to the musical sources, the origin. It is well known that in the beginning, music, dance and poetry were a unit. The song was the spoken poetry, words, music and dance, the ritual … by the time I started to use tools different cultures to create images with own weather, and related to the message of the song itself. … Take the meaning of music, which linked with each other to form the song. Besides the lack of structure, compositions were recently tested by supplying a gap between the more contemporary styles within the art may try something never tried before, innovate, not all that well … sometimes. ” Presently RW compositions have a look at what had always draw his attention and that is the Celtic culture, knowledge of music and poetry of the old metrics bards and musicians footpaths. “Finding affinities anywhere, from Ancient Egypt to India and Vedic away even more.” He was addressing this to return to their ancestors which led to the breakdown of the final 74 in the ISB. While Heron was oriented toward the rock, recording solo and with his own band with Manfred Mann, the Earth Band, and to say that selling items to Blondie, Robin aims to poetry and folk. 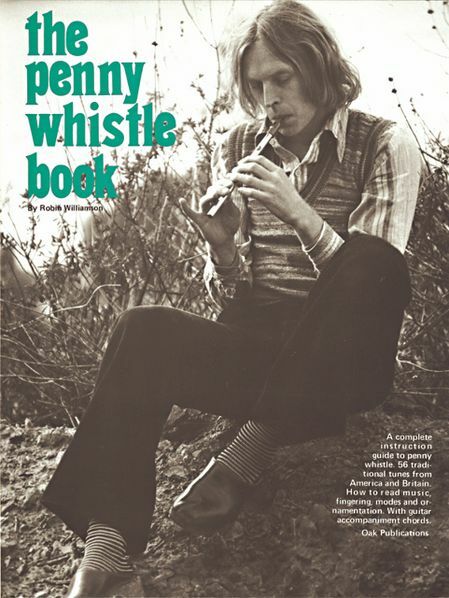 At the end of that year he moved to Los Angeles (California), and then write a book for Irish whistle and flute or violin, printed in both years. With the help of Sylvia Woods (harpist member of the Merry Band) containing both scores, comments, and even a flexidisc recorded with friends.